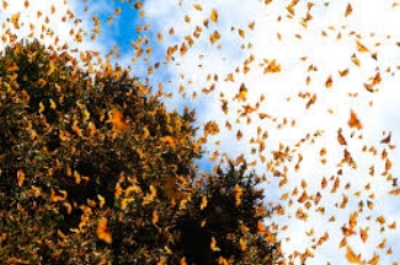 The Monarch Butterflies ANNUAL migration OF over 3,000 miles across North America iS one of the most mysterious and greatest natural events on the planet. 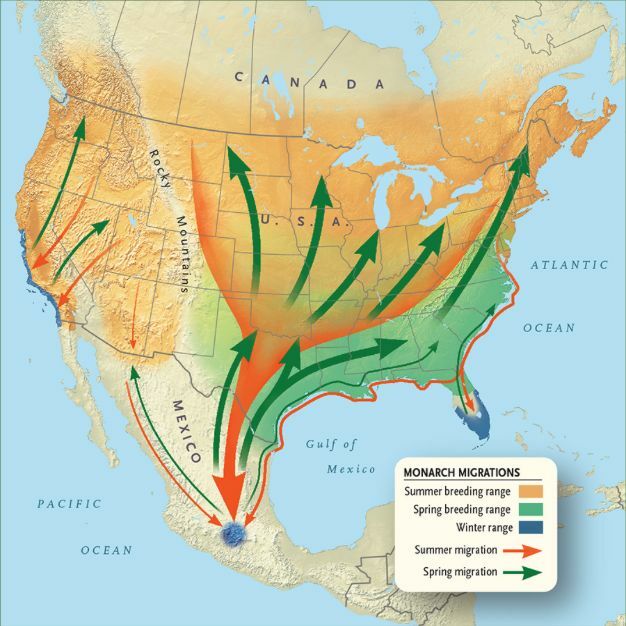 Each fall, millions of monarch butterflies leave their summer breeding grounds in the northeastern U.S. and Canada and travel over of 3,000 miles to reach overwintering grounds in southwestern Mexico. But unlike birds or other animals that also embark on epic migrations, these individual butterflies will never return. No one knows how they know how to reach their destination! These trees, also known as sacred firs, create a microclimate that protects the insects.